Not sure if this option ever existed, but the new QGIS version hides a lot of things somewhere else and this seems so simple that I'm kind of convinced it was possible to do this before. I have quite a large data set with ship tracks. I now want to analyse individual ship tracks (made from point layer with points2one) - however, it is so crowded that it is hard to look at individual tracks. I don't want to save each single track as a new layer, so I wonder if it is possible to select one track in the attribute table and display only that one on the map/hide the others? 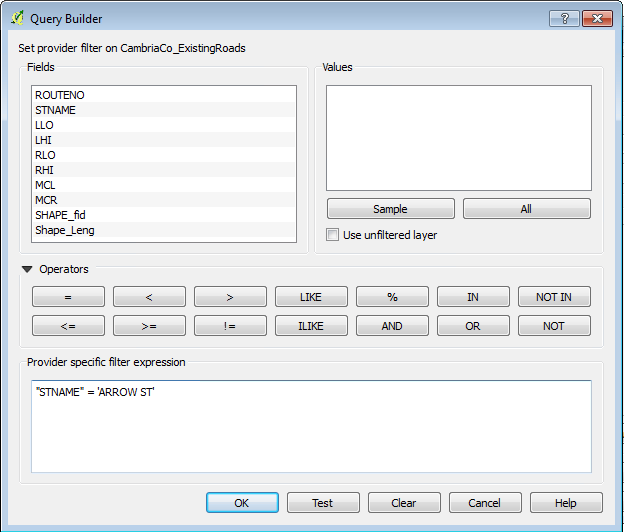 The Query Builder will help you create an SQL query to define what features in your layer should actually be displayed in your project. Any features not returned by the query are made invisible, not just visually but entirely (they are not deleted from your data, of course, they're just defined out of existence until you remove the Layer Subset query). If you open the attribute table, you can find an epsilon symbol (in the figure below, the 4th one). When you confirm, all rows that satisfy your expression (that is: all points that belong to the track with track_id X) are selected. If you then click on the magnifier button, QGIS zooms to your selection in the map canvas. The selected features (points in your case) are highlighted. In fact all points are still there (making them white will not make the rendering taking less time) but at least your eyes can relax! This is now possible using just selections and a rule-based symbology. This requires the Expression Plus plugin (for QGIS 2.x. 3.0 has the functionality built in). 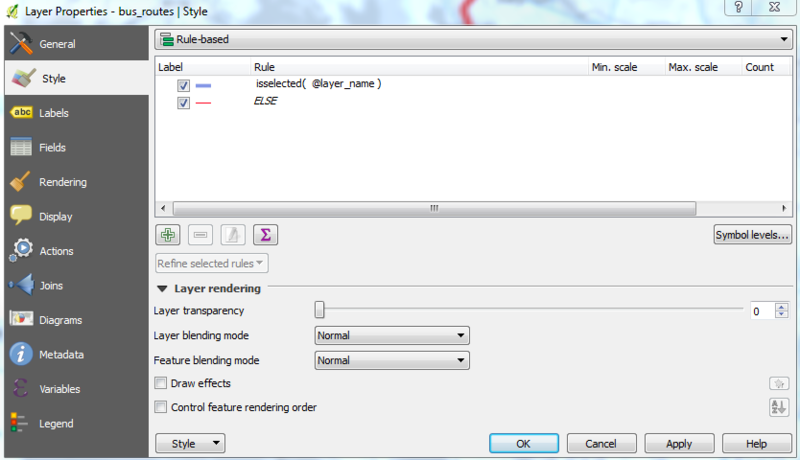 Now only the selected features that meet this rule will be shown. You can also have an ELSE rule for all unselected features. Not the answer you're looking for? Browse other questions tagged qgis select display or ask your own question. How to show just a few objects in the attribute table? How do I show only the selected features from an attribute table on a layer? Saving selected features by default in QGIS? Why are only some tables shown in QGIS when I connect to database?